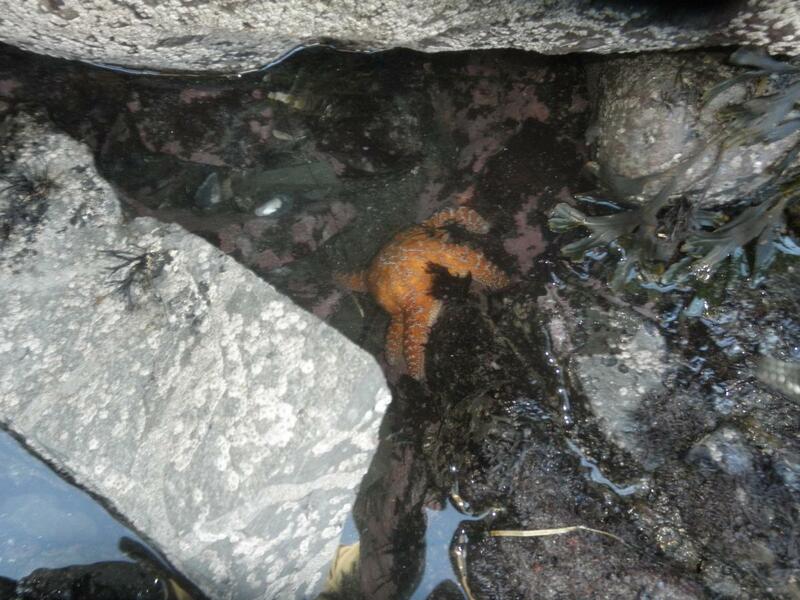 star fish die off continues on west coast. virus or bacteria? radiation unlikely. ours here are almost gone. sent a young man into the rocks , pools at a minus tide no starfish seen. "The news is disconcerting for scientists who have studied the starfish "wasting syndrome," which appears to be caused by some kind of waterborne virus or bacteria." "The process has been happening so quickly that it has been difficult for researchers to get samples — by the time a starfish in trouble has been spotted, it has frequently turned to goo." It has been well proven that the primary factor leading to this extinction is the presence of neonicotinoid poisons, of course present in insecticides sold by and/or used by corporations such as Monsanto, Syngenta, Bayer, Dupont and their products. Millions of fish are suddenly dying all over the planet. 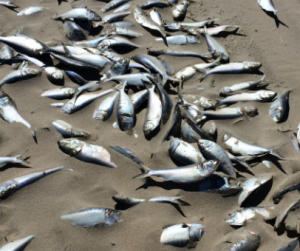 In fact, there have been dozens of mass fish death events reported in the past month alone. So why is this happening? 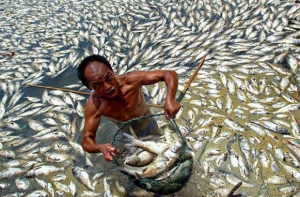 Why are fish dying in unprecedented numbers all over the world? When more than six tons of fish died in Marina Del Ray over the weekend, it made headlines all over the United States. But the truth is that what just happened off the southern California coast is just the tip of the iceberg. In 2014, mass fish die-offs have pretty much become a daily event globally. This is a translation, believe the incident has taken place in Iceland. "Number three species of seabirds were found dead on the Snæfellsnes Fróðárrifi last week. Since mid-May, also found 50 dead eiders of eider ducks conveniently. Reasons bird deaths are not available, but no visible signs of birds which may explain the number of death. "The bird was scattered across the sea, pulled down," said Sigurdur Sigurdsson, one of Wise landowners, who passed over the dead birds and announced Natural History West (NW) from its meeting on Wednesday. According Menia von Schmalensee, a specialist in NV, were found two days later dead 70 written on a small area of ​​the rib, along with dead skörfum the eider duck. In addition, the site found dead flundrur, a petite flatfish that had washed ashore Bugs Lakes in propulsion. It was clear that the opinion of many locals to their carcass had washed out to sea, as increasing current. Scavengers had kroppað in most birds, but nonetheless found some charm, and clearly nýdauðir. They were gathered to have potential for further research, but it is not known what causes, and no visible traces of the birds that clearly could harm their death." I can state that the numbers of wild birds around here has dropped off dramatically. “Neonicotinoids were always regarded as selective toxins. But our results suggest that they may affect the entire ecosystem,” says Hans de Kroon of Radboud University and co-author of a study recently published in Nature journal. "From white-winged scoters and surf scoters to long-tailed ducks, murres, loons and some seagulls, the number of everyday marine birds here has plummeted dramatically in recent decades. The reasons are often complex, but for many the loss of forage fish like herring might hold a clue. ANACORTES — The bird-counters stood in the windy bow chattering into headsets and scanning the Strait of Juan de Fuca with binoculars. Inside the boat’s cabin, another Washington Department of Fish and Wildlife worker listened through a headset of his own so he could record the tally on a computer. Bird surveys like this and others done by plane are tracking a significant ecological shift in our region — a major decline in once-abundant marine birds. From white-winged scoters and surf scoters to long-tailed ducks, murres, loons and some seagulls, the number of everyday marine birds here has plummeted dramatically in recent decades." "FLORIDA – The largest red-tide bloom seen in Florida in nearly a decade has killed thousands of fish in the Gulf of Mexico and might pose a greater health threat if it washes ashore as expected in the next two weeks, researchers said. The patchy bloom stretches from the curve of the panhandle to the central Tampa Bay region. It measures approximately 80 miles long by 50 miles wide. Red tide occurs when naturally occurring algae bloom out of control, producing toxins deadly to fish and other marine life. The odorless chemicals can trigger respiratory distress in people, such as coughing and wheezing. “It could have large impacts if it were to move inshore,” said Brandon Basino, a spokesman for the Florida Fish and Wildlife Conservation Commission. “It has been killing a lot of marine species, especially fish, as it waits offshore.” The agency has received reports of thousands of dead fish, including snappers, groupers, flounders and bull sharks, as well as crabs, eels and octopi. This is the largest bloom seen since 2006. The phenomenon has existed for centuries, but such a large bloom is being closely monitored in Florida because it could affect beach tourism and commercial fishing." "The 2010 Deepwater Horizon oil spill is often cited as the worst environmental disaster in U.S. history—yet its impacts on the marine life of the Gulf of Mexico have gone largely undetermined. Now, new findings published this month in Marine Ecology Progress Series estimate that the number of seabirds lost as a result of the spill may number well into the hundreds of thousands. Birds are especially vulnerable to oil, which can coat their feathers and cause death by dehydration, starvation, or drowning. Seabird mortalities can easily be underestimated following a spill as bodies are lost at sea or go undiscovered. So researchers turned to two different estimation methods—one whereby total mortalities were estimated from the actual number of dead birds recovered, and another in which information on the geographic extent of the oil slick and seabird densities were used to estimate potential mortalities." starfish have been more than decimated here on the west coast, the star fish wasting disease has been going on for a year now. they think it is a virus and that they have identified it as densovirus, a virus found in starfish around 1942, and until recently had been relatively benign. here is the study and after i will post the link to santa cruz web sight with lots of laymen's info. Peru’s environmental police are investigating the deaths of some 500 dead sea lions discovered decomposing on a beach 250 miles north of Lima, the BBC reports. 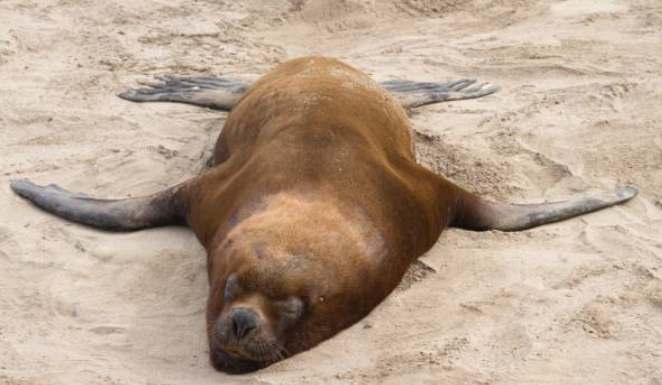 It’s unclear what led to the mass die-off of both adult and juvenile animals, but the local governor reportedly accused local fishermen, who compete with the animals for shellfish, of poisoning the endangered marine mammals. "Mass die-offs of the small, white-bellied gray birds have been reported from British Columbia to San Luis Obispo, Calif."
""It doesn't look like a toxin," she said. "It's more likely due to weather and food supply."" Marine biologists and other researchers are voicing serious concerns regarding the high mortality rate among orcas (killer whales) observed over the past couple of years. 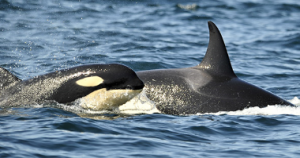 No one has yet proven that there is a direct link between the 100 percent mortality rate seen among orca infants and the effects of the radiation contamination of the Pacific Ocean from the Fukushima reactor leak in Japan, but it certainly can't be ruled out as a possibility. It is rather interesting that the incidence of orca deaths -- not just of infants, but full-grown specimens as well -- has risen sharply since the accident occurred in 2011 and as the radiation has made its way across the Pacific Ocean to the West Coast of North America. A large number of bluefin tuna and bonito have died at a well-known Tokyo aquarium since December, baffling officials over the cause. Tokyo Sea Life Park in Edogawa Ward, known for hosting the world’s first major exhibition on bluefin tuna migration, had 165 tuna and bonito on Dec. 1. Now, only seven are left. If the trend continues, the aquarium, which has kept bluefin tuna for 25 years, could face its own tuna extinction. “I’ve haven’t seen so many deaths over such a short period since we opened in 1989. 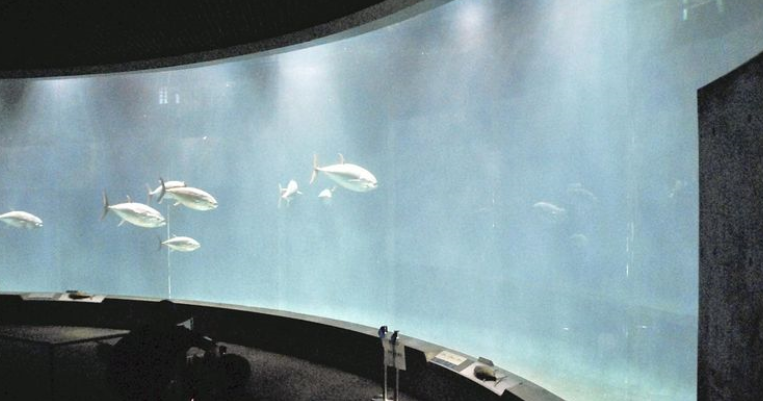 There might not be any fish left in the tanks by the end of the month,” aquarium Vice Director Kazuomi Nishikiori said Thursday, standing in front of an empty 30-meter-diameter ring-shaped fish tank. Three species of migratory fish have been dying at the aquarium — bluefin tuna, mackerel tuna and striped bonito. 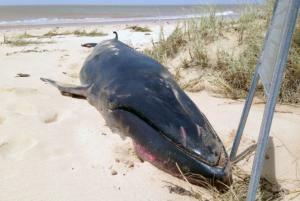 A large number of dead fish and a dead dolphin have washed up on the beaches of the Outer Banks over the past few days. Locals have reported that the stretch of dead fish runs for approximately three miles in the Corolla area. “Last night it was probably a mile long, and then when we were taking our kids to school this morning it is now about 3 miles long,” Jeff Kelly told NewsChannel 3’s Todd Corillo Wednesday. “I don’t know what’s causing it, but I would like to know why. This is my home. I want to know why this is happening. My kids play on this beach,” he continued. "The bluefin tuna is on the verge of extinction at a Tokyo aquarium known for a breeding program intended to save the species. Since late last year, the fish have been dying one by one, and researchers can’t seem to determine why. Another bluefin died on Tuesday, leaving only one lonely tuna in its habitat at the Tokyo Sea Life Park in Edogawa Ward near the Tokyo Bay. The diseased fish was found with broken bones, but the cause of death is not yet known. “We have had the tuna tank since the aquarium opened in 1989 but never experienced this kind of mass-dying,” a spokesman for the aquarium toldAgence France-Presse early on Wednesday. In November, there were 69 bluefin tuna in the tank, a doughnut-shaped enclosure filled with 2,200 tons of water, Satoshi Tada, a spokesman for the government-run Tokyo Sea Life Park, told The Washington Post. The next month, the fish started dying at an alarming rate. In January, only 11 remained. The aquarium has lost 68 bluefin tuna in four months, he said in an e-mail." KSBW, Mar 30, 2015 (emphasis added): Volunteers who track the animals now say they think the colony of harbor seals is being affected by this year’s food shortage in the Monterey Bay, and that affect is significant… The food shortage is happening up and down the West Coast… it isn’t just affecting sea lions, it is also affecting harbor seals. Monitors say the pupping season got off to an early and difficult start this year, with more seal pups being abandoned the normal… They attribute the problems to a food shortage in the Pacific… it is happening all up and down the coast. Tillamook Herald, Mar 13, 2015: Dr. George Hemingway, retired Oceanographer, Marine Educator, and chair of the Lower Nehalem Watershed Council will present a lecture entitledWarming and the 2014 Anchovy Bloom… Dr. Hemingway will go on to discuss subsequent developments in the Pacific, including the current crash in the food web, which has led tosignificant mortality of birds, sea lions and other marine life. then pay attention to the related articles below this part, anyone think Fukushima has anything to do with this??? "Smithsonian, Apr 6, 2015: [M]illions of sea stars along North America’s Pacific coast met a grisly end when a virus rotted their bodies into lumps of white goo… scientists fear that greater consequences of this “wasting disease” are already at play. And the sickness may be spreading even further… ecologists worry that the sea urchins could now be catching the same ailment. Tweet from National Geographic, Apr 1, 2015: Now urchins are wasting away off California, in addition to sea stars… as the fallout from sea star disease ripples along the California coast. National Geographic, Apr. 1, 2015 (emphasis added): n southern California, urchins are losing their spines and dying… [T]he mass mortalities… are newly discovered phenomena that appear to be connected to a die-off of sea stars… Santa Barbara to Baja California, urchins’ spines are falling out, leaving a circular patch that loses more spines and enlarges with time… “We think that there’s a wasting event going on with urchins,” says Peter Raimondi, an ecology professor at the University of California, Santa Cruz. 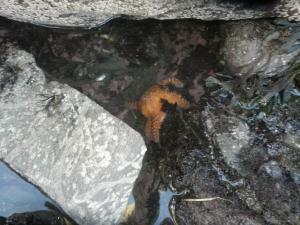 “It is by no means as rapid as the sea star wasting… But we do see it in multiple sites. And when we do see it, we see it in a lot of animals.”… cientists revealed a virus… had suddenly flourished [in sea stars], althoughno one at this point understands why… biologists have suggested that the virus may have evolved, becoming an extra-potent slayer… “There are particular signs that point to this being a wasting event, the way the animals are dying,” Raimondi says. 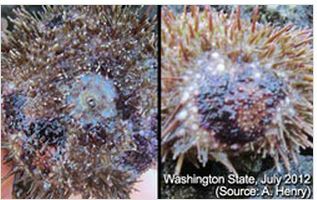 The most common kinds of California urchins—purple, red, and white—are losing their spines… markers indicate that sea urchins in southern California are now in a wasting event, Raimondi says… Researchers fear that sea star wasting disease has spread to urchins. Are urchins only dying in So. California as National Geographic reports? Not according to another recent National Geographic report: “Urchins… seemed to have escaped the ill effects of the virus until now. But in recent weeks, reports have started to come in that they too are dying along beaches in the Pacific Northwest… [Cornell microbiologist Ian Hewson is] studying the urchins… that are already dying to see if the same killer is responsible.”"
"Amid a debate over vaccinations for humans, Chicago veterinarians are advising pet owners to consider vaccinating their dogs in an effort to curb a canine flu outbreak. 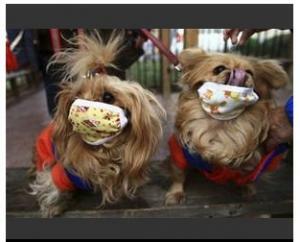 Between January and March, the Cook County Department of Animal and Rabies Control says five dogs died of canine infectious respiratory disease caused by a highly contagious strain known as H3N8, the Aurora Beacon-News and Chicago Tribune report. It doesn't affect humans, but it's easily passed between dogs up to 20 feet away. More than 1,000 cases have been identified. "I have been in practice for 25 years and have never seen this kind of outbreak," says a veterinarian, noting 5% of cases are usually fatal. The outbreak has also hit Wisconsin and Indiana, ABC News reports." Check out the photo from the link. Being a real animal lover I know this isn't funny but the photo still has me laughing! And I would never have a pet vaccinated. "NHK, Apr. 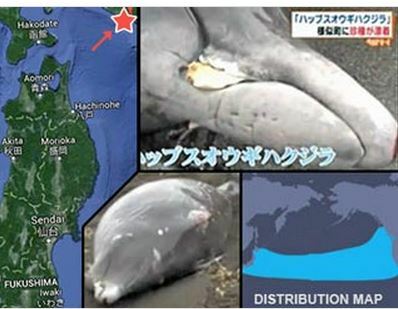 10, 2015 (emphasis added): About 160 dolphins washed ashore on a beach in Ibaraki [50 miles south of Fukushima border]… A local aquarium says this type of dolphin… is usually found in deeper waters. It says it is unusual for so many to be washed ashore. Japan Times, Apr 11, 2015: 149 melon-headed whales [washed up] in Hokota. Seven more were stranded in nearby municipality of Kashima. AFP, Apr 10, 2015: Television footage showed several animals from the large pod had been badly cut, and many had deep gashes… “We see one or two whales washing ashore a year, but this may be the first time we have found over 100 of them on a beach,” a coastguard official told AFP… Several animals werewrithing in a futile effort to move. Inquisitr, Apr 10, 2015: A Japanese coast guard official has said that he is witnessing this phenomenon for the first time in his life… According to BBC News, these species of dolphins are usually only found in the deep waters of the ocean. It is extremely rare for them to show themselves up on the beach… this might be the biggest single case of mass beaching of dolphins that have been reported from Japan… This case of dolphins beaching themselves is eerily similar to another phenomenon that has been noted recently… young sea lion pups ending up on the beach – starving and dazed. Mainichi, Apr 11, 2015: Kashima Coast Guard station transported and released three of the melon-headed whales… but most of the dolphins died and were buried on the beach. OK then Psychological Problems? ? yes, I'm sure those Gov't Experts are 100% correct!!! I think the govt experts are the ones with psychological problems! Unfortunately everyday society accepts their spoon fed stories without any thoughts whatsoever for themselves. Interesting that a very rare whale species (thought by some to be extinct) has made its way onto the Beach at Exmouth in Western Australia during the last cyclone event. A rare Omura's whale has been found washed up on a West Australian beach, giving scientists a chance to learn more about the species. The rarely sighted whale was discovered on a remote beach at Exmouth, at the tip of the state's North West Cape, after Tropical Cyclone Olwyn tore through the area last month. It is the first sighting of the species in WA and only the second in Australia. Identifying the 5.68-metre juvenile female was difficult for Department of Parks and Wildlife staff, but DNA profiling confirmed it was an Omura's whale. WA Environment Minister Albert Jacob said the find was "highly significant" for whale scientists because very little was known about the species. "Omura's whale was only described in scientific journals for the first time in 2003 and is apparently restricted to tropical and subtropical waters," he said. "The knowledge we gain from this whale will help to improve field identification guides to better understand the whale's regional distribution." The species is usually found in Indonesian waters, the Philippines and the Sea of Japan. Department of Parks and Wildlife officer Doug Coughran said it was the first recorded sighting of the species in Western Australia and only the second nationally. He said the discovery was extremely valuable to the scientific community. It was not thought to be that far south in the eastern side of the Indian Ocean - it was only known from the waters north of the equator and down as far as the Indonesian waters and across to New Guinea. "It's a species that has similarities to others but nothing that was obvious other than that hooked dorsal fin and there's not a lot known about how they look in the field because there's so few records and very little in the literature about key identifying features and that's what we're trying to establish and this will help," Mr Coughran said. "Collectively we've written a manuscript to a journal for peer review and once it gets through that process it then contributes to the extension of the range. "It was not thought to be that far south in the eastern side of the Indian Ocean - it was only known from the waters north of the equator and down as far as the Indonesian waters and across to New Guinea." Mr Coughran praised the work of those near Exmouth who helped get him DNA samples so soon after the cyclone hit. "What's likely to have happened was it's brought up, dumped by its own weight and died during the dark hours of the night and wasn't found until the morning," he said. "The fact that they [the residents] all came out of their cyclone shelters that morning and the first phone call they got I think was from me asking them to bolt up there and find it and then get hold of a sample ... they did a terrific job when you consider all the debris all around." Omura's whales have a sleek body shape and several unique skeletal features, including 53 vertebrae and four digits on each pectoral fin. The carcass has been buried and the skeleton will be recovered in a few years for further scientific investigation and possibly for public display in museums. Systran: [Hubbs' beaked whale] on April 14th it runs aground dies in Samani Cho very much is rare kind… the world 62nd example, in Japan 18th example, in Hokkaido becomes 5th… The latest way, when running aground the example which has existed, since discovering… in 2005.10.21 Kanagawa prefecture… April 14th… had existed, it is thing, but you died…"
Canadian Field-Naturalist, J. Houston (1990): Hubbs’ Beaked Whale, Mesoplodon carlhubbsi, is a rare member of the North Pacific fauna… Known only from 31 stranded specimens and one possible live sighting, this species can only be described as rare… The species is similar enough to Mesoplodon stejnegeri (Stejneger’s Beaked Whale) to be confused with it." This is all tied in breezy. That radiation which is still spewing out has already affected not just the sea creatures, but anyone who eats the fish and other sea delicases. The radiation has also contaminated our rivers as well. The currents combine in and connect in those tributaries on the west coast.